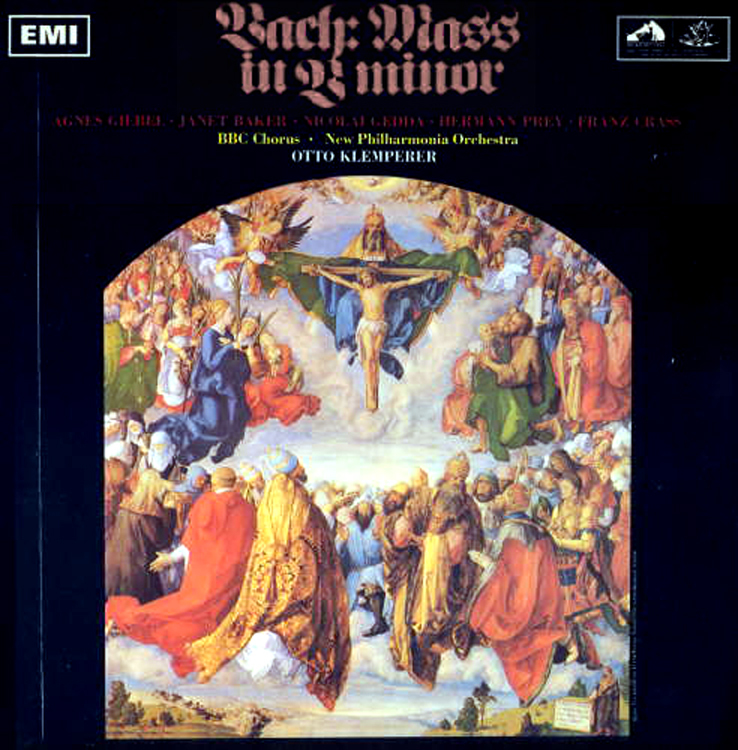 I am listening as I write this to Bach’s Mass in B-minor, in a version recorded in 1967 by the New Philharmonia Orchestra and BBC Chorus conducted by Otto Klemperer. I am blown away. Not just at the music, which I know well, and have nearly a dozen recordings of, from Joshua Rifkin’s spare-outline version, with one singer per part, to the more full-blooded Robert Shaw version with his chorale and orchestra, to the zippy race-through by John Eliot Gardiner. Each is an event in its way — it is hard to make Bach’s music anything but beautiful and profound. But Klemperer brings something else to the performance. 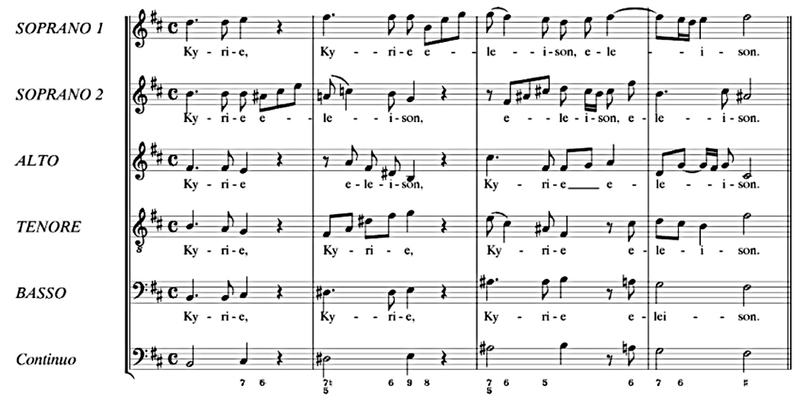 You hear it with the first notes, the solemn adagio opening Kyrie. This is no period-instrument version, thin and edgy. This is the full power of Milton’s heaven resounding. You know this is not a collection of tunes, but rather a calling-into-being of the entire universe. One is reminded of the opening of the King James Genesis. This is serious music. Since this recording, a prejudice has developed against grandeur: The authentic-instrument, period-practice movement took hold. One year after Klemperer’s recording, Nikolaus Harnoncourt released his stripped-down, lean and brisk period performance. Since then only a very few have ventured to record the music with a symphony orchestra and large chorus. Instead, we have chamber versions, and even smaller ones, such as Rifkin’s. I am not here to complain about them: Many are beautiful and thoughtful. And I would not want to do without Gardiner’s version. But in the quest for authenticity, something has been lost: In the search for “what Bach actually heard” using instruments of his time, we have given up what Bach meant. This raises the question of “intent.” Period advocates measure intent by musicological and historical standards: Bach’s brass players had no valves, strings were gut, bows were slack, pitch was lower. All these things can be documented. But intent is more than that. Bach intended to create the glories of the heavens on earth. And one doubts Gabriel’s singers and instrumentalists were bound by the constraints of period technology. Bach intended his music to be as grand has possible. If what was possible in his age was limited, that should not restrict us to 18th century limitations. Klemperer was famous for what has charitably been called “granitic” performances of Beethoven and Mozart: His slow tempos and careful orchestral balance underline the monumental structure of the music. If rhythmically driven or lyrically pretty music is what you seek, look elsewhere. Klemperer makes you see the music as something sculptural, complete from all angles and subject to minute scrutiny. This is certainly not to everyone’s taste, and when it comes to Beethoven symphonies or Mozart operas, Klemperer is a world I wish to enter only periodically, as a sort of reminder that not everything is Riccardo Chailly or Leonard Bernstein. Klemperer does not seem interested in our pleasure, and even less with our attention spans. This is serious music and he intends you to take it like that: It may be work, but you are better off for it in the long run. But when it comes to Bach — and here we must mention also his monumental recording of the St. Matthew Passion — this approach gives us a weight and profundity that elevates the music. Instead of using his musicality to discover what Bach wrote, he uses Bach to discover the vastness and emotional depth of Creation. Bach is not the end, but the tool. The historical-performance people have this take on the music. Bach used dance movements, they tell us, and so the music should dance. They hit bar-lines like blacksmiths, beating out the rhythm, as if every movement were a Landler, OOM-pa-pa, OOM-pa-pa. They break phrases up into choppy bits, claiming scholarship for authority. And I won’t even mention the flat, vibrato-less performance and often-squeaky 18th century instruments. The results become not music, but a museum display. I don’t dispute that we may learn something about how music was performed 250 years ago and I don’t dispute such knowledge can be important and interesting. But I will continue to dispute this is music. This is academia invading the concert halls. And it comes off as interesting as academic prose. And who but a scholar wants to read a dissertation? So, Klemperer uses the music to find a place in the cosmos, and if the cosmos is vast, so the music expatiates. It fills the space of the heavens. If it takes three days for an astronaut to reach even our closest neighbor, the moon, then so what if it takes the conductor 13 minutes to span the Kyrie. Yes, we could get there faster if we up the tempo, but we lose the metaphor in doing so. It should also be noted that Klemperer has some of the best soloists available at the time: Janet Baker, Nicolai Gedda, Hermann Prey and others. Full-throated singers who can rise above a full orchestra. One looks back at the history of art, music and culture and sees the pulse, diastolic and systolic, changing from an era that sees itself examining itself and human societies to one that looks for humanity’s place in the universe. We often call these impulses “classical” and “romantic,” but these terms are quite gross. The realities are more subtle. But think of Alexander Pope and compare him with Byron, for instance. Or compare Gluck with Wagner. We are in a slack period, uncertain about insisting on great themes, large statements, universal truths. In fact, we are likely to say there are no universal truths. The violent, murderous 20th century we lived through, full of ideologies and dogmas — all claiming to be universal truths — taught us to be more humble. Universal truths can be genocidal. So, we have drawn back, like turtles into our shells, and claim that since a belief in truth can be bloody, therefore, there must be no truth. We have become a generation of Pontius Pilates. This makes emotional and historical sense, but it does not follow logically. There is at least one universal truth, I believe, that is impossible to deny: We will all die. Death is universal. And if our own extinction is inevitable, so is its corollary: Everyone we love will die; everyone we love will leave us. Loss is a universal human experience. If we start from first principles — and death and loss count as just that — perhaps there are inferences we can draw from these axioms. And even if some of them are not universal, they may still be widely prevalent among human cultures. Of course, we want to tread lightly with these. Stalin, Franco, Hitler, Pol Pot, Osama bin Laden may still give us pause. But we should not be deterred from seeking these inferences from first principles. Art that merely looks at art seems pasty-faced and weasely compared with the larger attempts of artists such as Michelangelo, Tolstoy, Homer, Beethoven — and Bach. So, I say, open up the floodgates, let the dam overflow, give Klemperer his head and let it all fill us up, fill up that empty space we all feel, the community of humanity in our loss, our finality, our upward vision into the starry night for the immensity of creation. And I say this as an atheist. Bach may be using the Catholic liturgy, but we don’t need to be Catholic to feel the power of the universe behind his notes. Bach, himself, wasn’t Catholic. His religion did not use the full Mass. But that didn’t stop him from filling out the words, in a language he did not speak, with counterpoint and harmony that reflects that immensity. 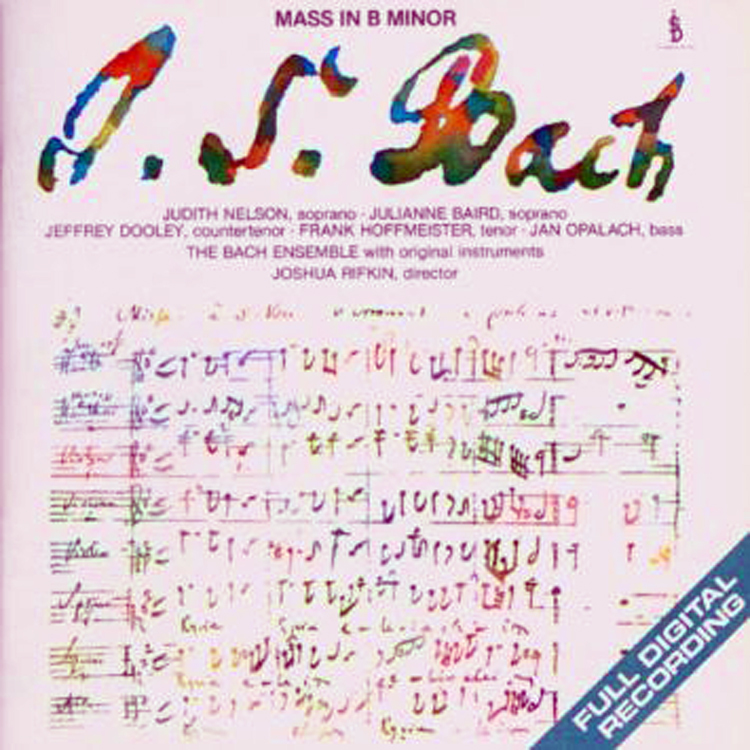 So, I don’t wish my Bach shrunk down to human size; I want my Bach to be a Mount Palomar opening into the cosmos. The Mass has played out in the time it took me to write this short note. Now, I think I am ready to change the CD and begin the Matthew Passion. Open heavens, let me see into you.